Chipotle Chicken Meal Prep Lunch Bowls are prepared 4 ways so that you have a delicious and a different lunch every day! This copycat chipotle chicken marinade has only 6 ingredients and gives you juicy chicken thighs that are perfectly smoky and have the right amount of heat. 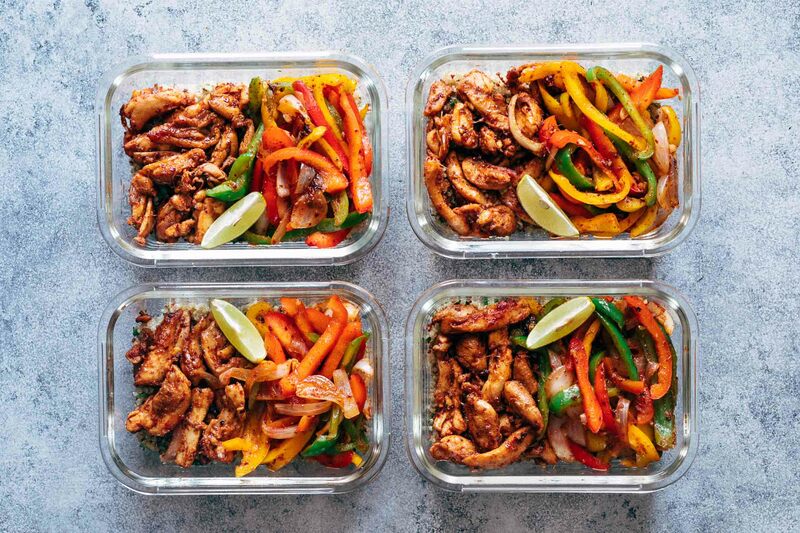 Guys we are making life even better than it was with these mighty awesome chipotle chicken meal prep lunch bowls. And I’m sharing these on a Monday in the hope that you will get inspired and spend an hour tonight prepping these for the week. But maybe thats asking for too much, and I’m sorry if expecting a little extra work on Monday is wrong. I know you just want to come back home tonight and do some Netflix and chill. But trust me, you’ll be thanking me if you get your husband/boyfriend/girlfriend/partner involved and prep these tonight. Also you don’t want to be missing on that crazy chipotle chicken which I have been eating all of last week. Chipotle chicken is really really the best ever. I’ve never tasted the real deal chipotle chicken but I can bet my version is just as good. Because it is exactly how I would imagine chipotle flavours to taste – smoky, spicy, juicy. The thing with meal prep lunch bowls is that sometimes they can get boring. If you are just one person going through four meal prep bowls in a week, you may not want to eat the same thing every day. Which is why, I went ahead and created four different ways to prep these chipotle chicken meal prep lunch bowls for the week. That way you are still eating chipotle chicken, but they all taste a little different every day. 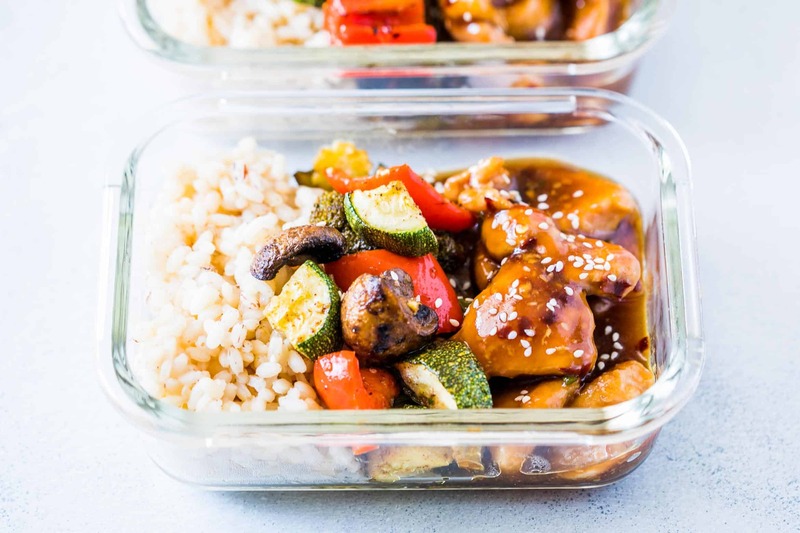 These are really ideas, and you don’t have to follow them to the T because you are the queen of your meal prep lunches. I really loved the combinations and the variety, but you can easily skip the rice and just stick with quinoa or vice versa. Or if you don’t like black beans, go ahead and use corn instead or add some salsa. You are essentially making an extra half cup of rice and quinoa, which I usually have lying around in the fridge anyway. Because the black beans are out of the can, and lettuce is out of a bag unless you are the awesome kinds who grows their own. Also don’t forget the toppings. I love a scoop of sour cream and a squirt of lime juice to round everything off. But make sure to pack the toppings separately, so that it’s easier to heat this. 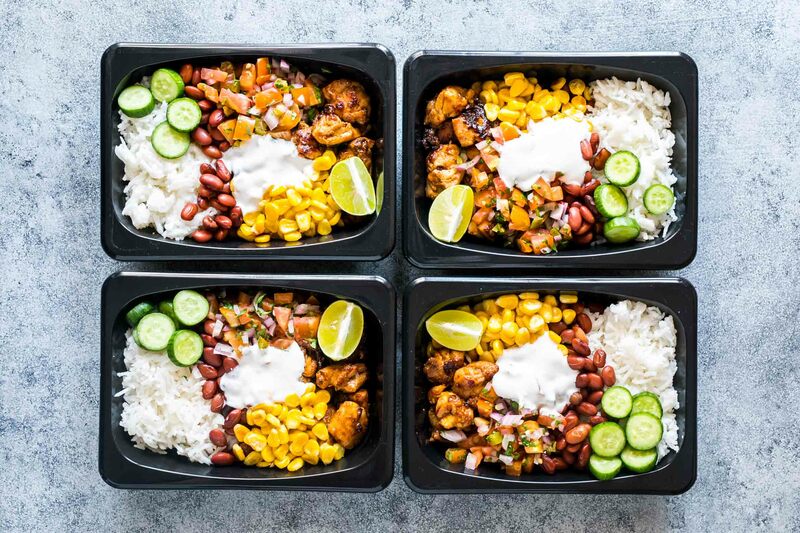 Chipotle Chicken Meal Prep Lunch Bowls are prepared 4 ways so that you have a delicious and a different lunch every day! This copycat chipotle chicken marinade has only 5 ingredients and gives you juicy chicken thighs that are perfectly smoky and have the right amount of heat. Chipotle Chicken: Blend all the ingredients mentioned under marinade with 2-3 tablespoons water till smooth. Marinate the chicken thighs in the mixture and set aside for half an hour or up to 2 hours. Heat oil in a pan and cook the thighs for 25-30 minutes till tender. Grilled Vegetables: Toss the vegetables with oregano, olive oil, salt and pepper and grill them in the oven at 225C/430F for 20 minutes till tender, but still crunchy.